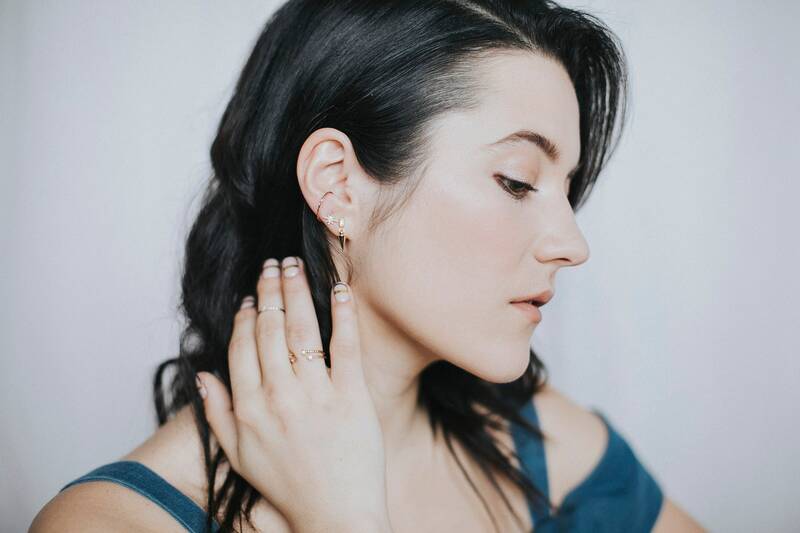 the Miller hoop is a rose gold plated tiny twisted non-pierced conch SINGLE ear cuff. just need to slide it through the ear cartilage, no piercing needed! 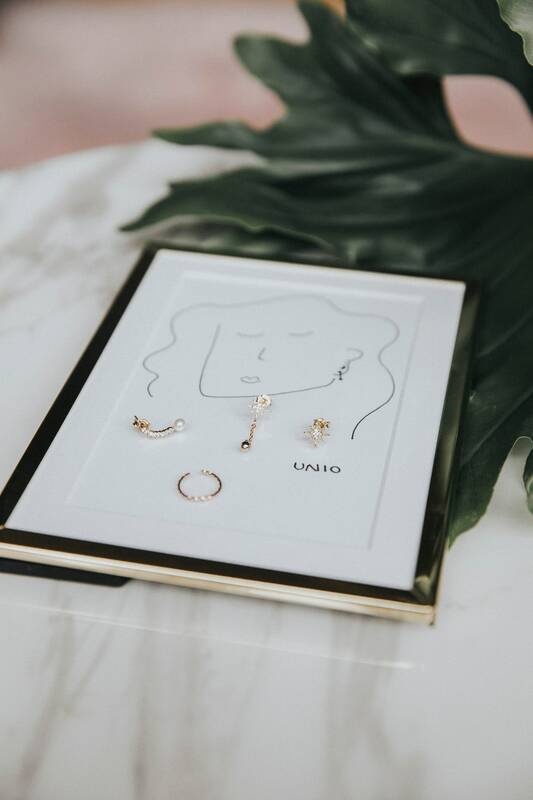 it can be matched with the Nin hoop as a cute duo on the same ear, or with any other style from the U N I O collection. 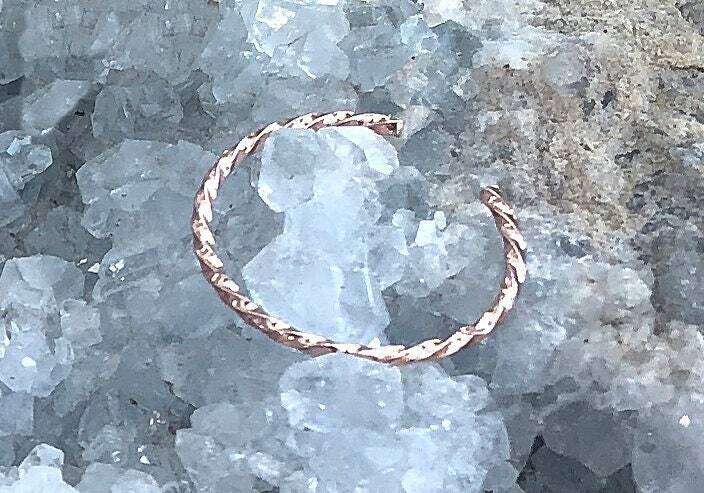 - Made of 18k rose gold plated, sterling silver. 4) If you want more than 3 earrings, just contact us and we'll prepare you a reserved listing. U N I O: lat. Reunite, gather, combine previously separate elements. 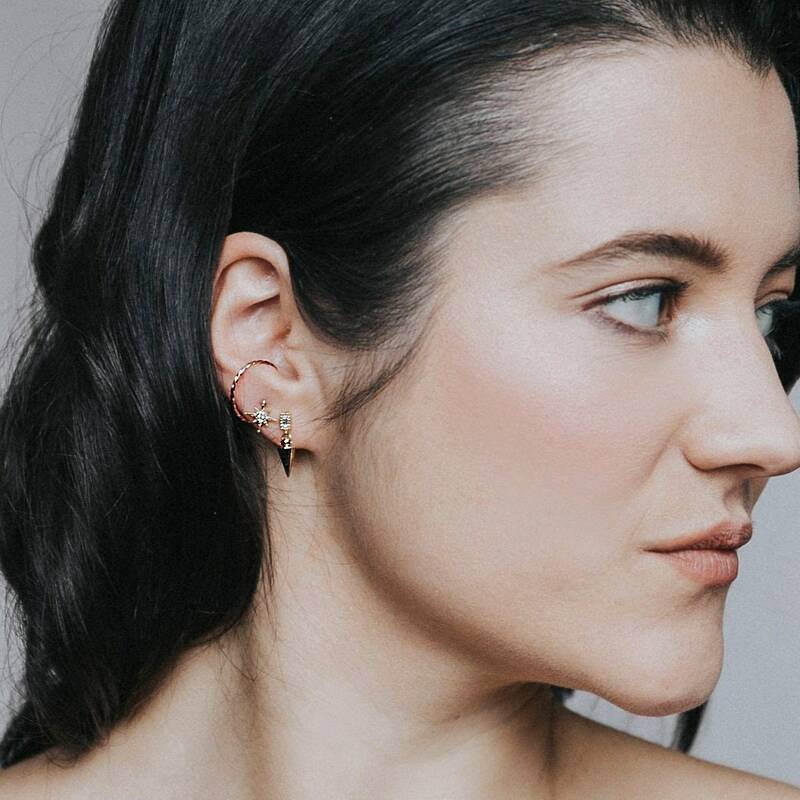 U N I O is a capsule collection of 14 "separates" earrings to mix and match to infinity. 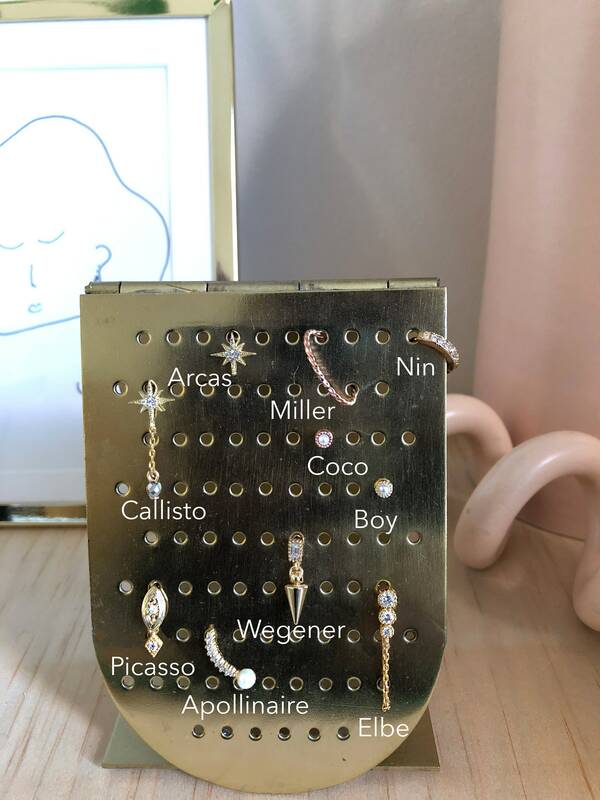 The collection consists of minimalist hoops, studs and dangles earrings echoing the brand's aesthetic codes and favorite materials : Here and there, pearls, crystals and hematite are hidden in geometric shapes in rose and yellow gold elements inspired by contemporary, art deco and mid-century modern architecture. 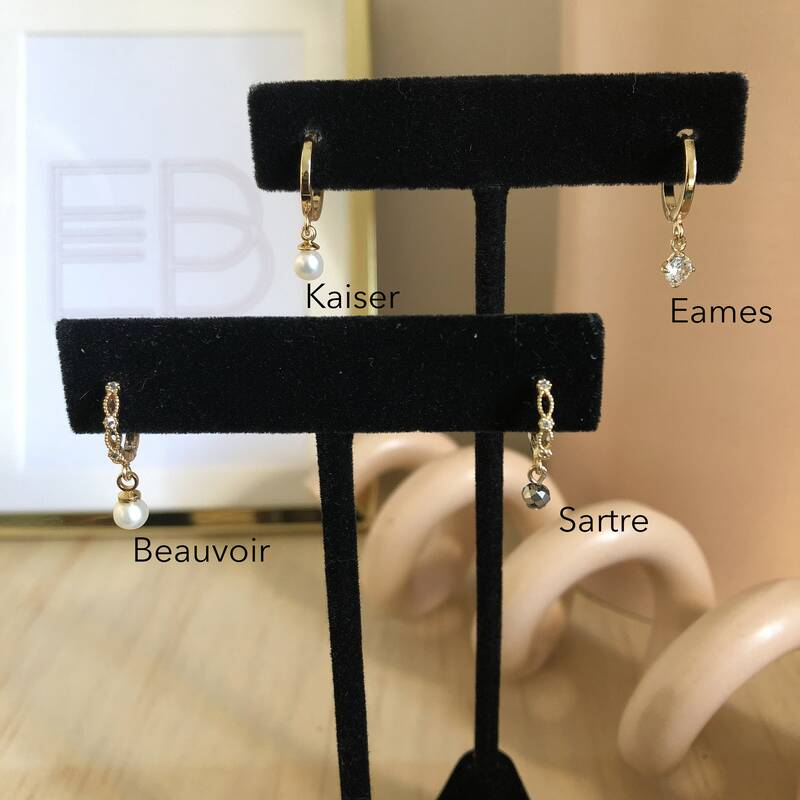 Named after mythical couples and friendships, the pieces of the collection form 7 pairs of matching earrings to wear as is or to mix and match as you like. To stage this collection, the designer has surrounded herself with talented collaborators like the actress Catherine Brunet as the face of the collection, the artist Papa N’est Pas La and the photographer Same Ravenelle thus giving life to this delicate world. Exceptional writers united in an essential fidelity, physical, material and literary relationship, they kept a passionate correspondence in spite of the obstacles during twenty years. EACH PIECE OF JEWELRY IS MADE TO ORDER AND HAS IT'S OWN CRAFTING DELAY. HAVE A LOOK AT EACH LISTING FOR THE SPECIFIC DELAY.